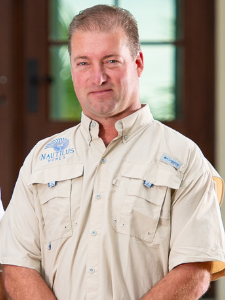 At Nautilus Homes, we specialize in the construction of custom luxury homes on Florida’s Gulf Coast. From conception to construction, we have the knowledge and the resources needed to guide you through the entire process of building your dream home. With our experience in building custom luxury homes, we can help you know where to start, give you direction when you need it, and support you every step of the way. We present the possibilities to you in a simple way so that the decision-making process is not only easy, but exciting and fun. The process only gets more enjoyable as you see your house coming together just as you imagined. Our team is defined by their commitment to excellence in craft, integrity and design. Each member of the team is a vital asset to delivering the one-on-one concierge level construction experience that is expected of a luxury home builder. We understand you have a big decision to make in choosing the right builder to bring your vision to life. Let us take care of the rest. 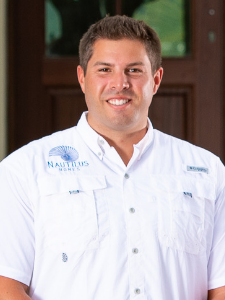 Ryan Perrone is a licensed General Contractor in the State of Florida and the president and founder of Nautilus Homes. He works directly with clients, architects and designers to collaborate in the design process and construct beautiful homes that fulfill the client vision. Creating finely crafted homes isn‘t just a passion for Ryan, it’s embedded in his heritage -- one that began at the age of just 11 years old, when he spent summers helping out on the construction sites of the luxury homes his father was building. Gaining years of hands-on experience, Ryan took his passion to the next level by first earning a bachelor’s degree in Construction Management, and then, in short order, achieving the highest level of contractor licensing in the State of Florida - the Certified General Contractor license. 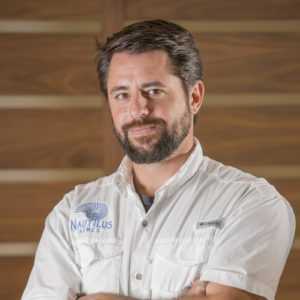 Ryan and his brother Ricky founded Nautilus Homes soon after, and together the brothers have won numerous awards and recognition for the luxury homes they build and their expertise within the design and building community. 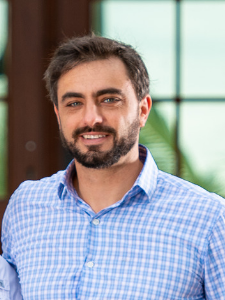 In 2018, Ryan was appointed to a three-year term serving on the Sarasota County General Contractors Licensing and Examining Board, where he contributes his experience and expertise as a second-generation home builder. The Board is tasked with examining applications and qualifications for general, building and specialty contractors doing business within Sarasota County, and conducts disciplinary hearings and other licensing and examining related functions. Ryan believes strongly in giving back to the community and, among other civic and charitable activities, he is committed to mentoring local youth at Riverview High School via the Ace Mentor Program of America/Sarasota Affiliate. The program educates and inspires high school students about careers in construction, design, engineering and architecture. When Ryan is not working, he focuses on spending time with his family and dog, Saki. Whenever he can, he takes time to enjoy the outdoors, music, traveling and studying architecture around the world. Ricky, like his brother Ryan, was raised in luxury home construction, working summers on the job site since the age of 13. With more than 20 years in the industry, he has been invited to lead discussions on luxury home construction in the community. He attended FGCU and USF, and earned a degree in business management. In his free time Ricky enjoys photography, hiking, biking, traveling surfing and snowboarding. Ricky serves his community as a member of the Board of Directors for the Humane Society of Sarasota County. 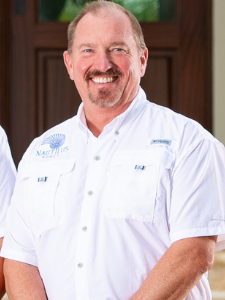 Rick has been in the building business for over 20 years and is one of the most likable people you’ll ever meet! Rick is fully dedicated to client comfort and success during the project. He will guide you through the step-by-step process of bringing your vision to life from the initial meeting to move in day! Britt is the smiling face you‘ll see when you first walk into the Nautilus office! She also happens to be Ryan’s wife! She loves being a part of the team that creates beautiful spaces for families and businesses. Brittany holds a Bachelors in Entrepreneurship and MBA in Marketing. She keeps the office running smoothly and works ensure everyone knows there is a better option for builders- one with an eye for design, impeccable attention to detail, and transparent communication. Joe’s dry sense of humor always keeps the team laughing! You will see Joe managing the teams on site at your projects. He has done everything in the construction industry from pouring concrete to having his own General Contracting business. His extensive experience and well-mannered demeanor leads to smoothly operating, safe, and clean construction sites. Client and subs alike always love working with Joe. Abbie has been with us from the beginning and is one of the nicest and most fun people you will meet! You’ll work with Abbie on maintaining quality, efficiency, and budget standards throughout the process. His extensive knowledge in both commercial and residential as well as his ability to make things happen is vital to our team. Saki is our mascot and often serves as the greeter at our office. 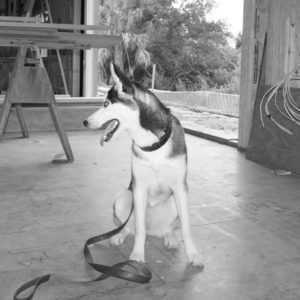 Having grown up on job sites, she still enjoys dropping by our construction projects and loves to explore new places with her dad on the weekends. Using our invaluable expertise, and proprietary systems, we keep you updated throughout the construction process: before, during, and after. Whether you are seeking custom home design, architecture and design, or home remodeling, we provide all of the information you need to get the results you want. To learn more about what we do or to find out how we can help you, contact us today.